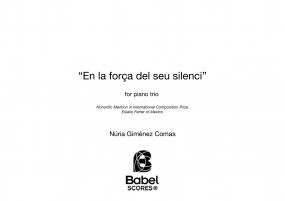 Núria Giménez-Comas began her musical studies with piano, but already with the idea of studying after the composition. 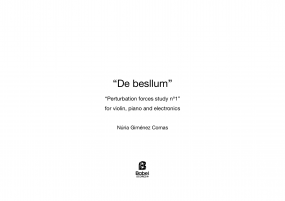 She entered the ESMUC (Escola Superior de Musica de Catalunya) and works instrumental and electroacoustic composition with composer Christophe Havel. 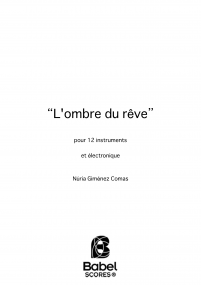 This work with electroacoustic music changes her way of thinking about instrumental music with a deep reflection on the notion of timbre in music. In ESMUC she finishes the bachelor with Mauricio Sotelo and also attends seminars with composers such as Michael Levinas, Helmut Lachenmann, and others. 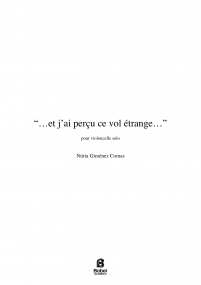 After two years she could enjoy a period of training at the Geneva Conservatory where she studied electroacustic composition with Luis Naon and instrumental with Michael Jarrell especially deepening in harmony and instrumentation. She has finished the Master in Composition at the High School of Music of Geneva with a dissertation about sound perception. 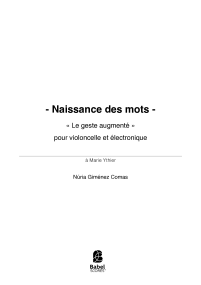 Very interested in mixt music she has done the Cursus 1 for composers in the IRCAM and the Manifeste Academy where she has done a project for electronics and video. She has been selected for the Cursus 2 with the help of Cajamadrid Fondation's scolarship. During this research year she deals with the sound scape subject in a project for string quartet and electronics. It has been premiered by Diotima Quartet in a collaboration with Voix Nouvelles de Royaumont using the new spatialisation system in 3D ambisonics. She has worked in many collaboratif projects as with video-art and live video performance with Canadian artist Dan Browne. 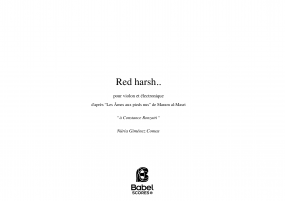 Also she is now working in a « Poetic-Monodrame » in collaboration with the writer-poet Laure Gauthier. 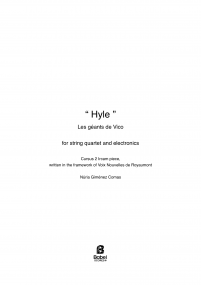 Very attached also to the orchestration, she has worked with orchestras as OCG, Brussels Philarmonic and Geneva Camerata. 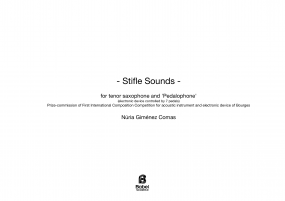 She has worked also with musicians like Ensemble Contrechamps, Harry Sparnaay, Wien Klangorum, Anssi Karttunen and her works has been played in festivals like Archipel (Geneva), Emufest (Rome), and Presences (Paris). And she has worked with other artists as the actor Lambert Wilson. 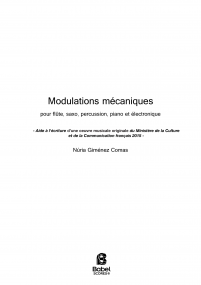 She has given some master-class or conferences about her music and research and about mixt music at Instituto Cervantes (Bordeaux), at Ircam Cursus and at ISCT of Zurich. 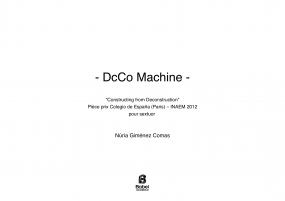 She is now working in a artistic research residency at IRCAM-ZKM. 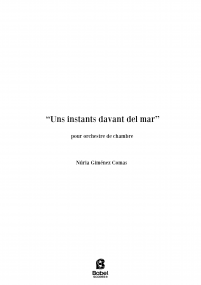 She has been awarded in II International Prize of Composition Eulalio Ferrer in Mexico, in Choral Composition of EACC (European Association of Choral Conductors) in Graz, in International Prize for instrument and electronic device of Bourges, she has the Prize of Colegio de España de Paris-INAEM 2012 and the 1st prize of III Edison-Denisov Competition. 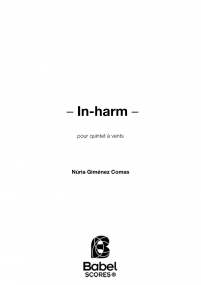 She has receives commissions from different musicians, orchestras and institutions, as Geneva Camerata, Radio France, Grame-Ircam receiving support of French Culture Ministry and INAEM. She has been invited to take part of competition jurys as Colegio de España de Paris-INAEM, and Young Composers Prize of SGAE. Piece for ensemble and real time electronics.